Joyous Naw Ruz greetings to the Baha’i friends all over the world. I am now a man of 86 years, practicing as a Medical Doctor since 1957, married, with 4 children, 14 grandchildren and 2 great-grand children. I am indeed blessed with a wonderful family any human being would be proud of. Let me try to recollect some incidents that have shaped my life to be what I am now- a very happy man! I can only share the tip of the iceberg of the many great happenings in my life. My parents and all teachers have passed away long ago. Yet I remember them daily in my prayers. Those words my parents shared with me even as a child, I believe shaped my entire life as long as I obeyed! If I am blessed with a wonderful family now, it is because of my love for God, which in reality began, with my love for my mother, my father and my teacher! My parents were very conservative Hindus. After work most of the time my father who was working in a rubber estate as a Hospital Assistant would spend his time with my mother discussing prayers, rituals and attending temples besides keeping watchful eyes over his children. My parents were blessed with eight children; two girls and six boys. I am the eldest. Every week there would be some sort of prayer or rituals they attended or held in our home. I used to love these events. When I was eight years old I attended a children school in the estate. I remember my parents would remind me to go to a small temple in the estate; not far away from where we lived, to pray to God before attending the classes. My first urge to obey God began at about this time. I would walk to the temple and the priest there would welcome me. As the days passed by, I noticed that the intensity of his welcome coincided with the days I placed in the collection box a half cent or more, before I entered the temple. The priest would tell me to do this and do that and I obeyed him exactly, believing that I was truly loving God in this way! When I did not bring flowers he would place in my hand some flowers which others who came to pray had placed at the foot of a black, standing statue, and I would throw the flowers at the foot of the statue, with a prayer. I remember the day when he told me that before I leave the temple, I should circumambulate a nine-headed statue nine times. I used my father’s clicker which was used to count rubber trees, to go round the statue eighty-one times. All the time during these years I remember, there was a passion that drove me to do anything and everything anybody told me to do in the name of God! This feeling increased and possessed me after I had a dream. In the dream, I was in the house and when I sat on a chair to have my dinner, the chair broke and I fell, injuring my back. In the dream my father ran out from his room, and lifting me up in his arms while stroking my back, he kicked the broken chair and shouted, “Throw it away. What is the use of a chair like this?” This dream slowly crystallized in my mind. There was a message in the dream. That chair was created by a carpenter to enable sitting! As the chair broke while I was sitting the chair clearly did not fulfill its purpose, and so it had to be thrown away! This thought led me to ask myself for what purpose was I myself created by God? One day when I was about 12 years old, I saw a small Bible book left there by the British Estate Manager! The moment I opened the Bible and casually read a few lines, I fell in love with it. More so because the English language in the Bible captured my heart. It was from the literature in the Bible that I glanced at the following words: God. Creation of God. Love of God. Teachings of God. Obedience to God’s Teachings, “heaven” and “hell”, life, death, reward, and punishment. A fear set into me. I surely did not want to end up in hell for not obeying God. After the Japanese occupation of Malaya and the war was over, it was time for me to resume my education. My father decided to enroll me in Penang Free School, though at that time it was a very costly decision. One Reverend who was the Principal of an earlier school I had attended in the town of Parit Buntar had a liking for me. When he heard that I was admitted in Penang Free School, he offered my parents a room in his house in Dato Keramat Road in Penang for me to live in. Since his family belonged to the Methodist Christian Religion, I followed them every Sunday to their Methodist church. I thanked God that He has now blessed me to be able to go church to pray to Him. I became interested in what has happening in the church. With the passage of time, I felt that there was something spiritually lacking in the church! I continued to pray harder and harder. At about that time, one of the lecturers in Penang Free School and his wife who befriended me, invited me to stay in their home, which was within walking distance from Penang Free School. I took this opportunity to thank and leave the Reverend and his family and left to stay with the lecturer’s family. I also stopped going to church. Ever since I finished Senior Cambridge examination with distinction in Penang Free School, I was sent to India to continue my education. I had to fulfill a three year stay in India before getting admitted into a Medical College. I completed two years of Intermediate College, then graduated with Bachelor of Science degree, before joining Madras Medical College. During these three years I had the opportunity to study many Sacred Books of past religions. Many individuals with whom I associated, especially those who claimed to be knowledgeable about God and His religions, often gave answers that were contradictory! They seemed to be misinterpreting the Sacred Writings which to me was acutely disturbing and confusing. There was also a lot of disunity among the various belief systems in India. This caused rifts amongst the followers of these religions. The resulting disunity, suspicion, fear, greed, egoistic attitudes, lead to them living spiritually-alienated lives! I was searching for a living Religion which has its all its followers united! I could not find any! Just three months before graduating with a medical degree, I had a surprise when I was informed by my parents through a telegram, that they were coming to India for a short visit. The ship arrived on time. I waited near the foot of the ladder-stairs that was leaning against the ship, and then I saw my parents walking down the stairs! I hugged and kissed them, having missed them after so long! My mother then casually told me that they have come to India to get me married. They very next thing she asked, “Have you got to know any girl to get married?” That question truly shocked me. I then turned to Mummy and said, “Mummy, remember before I left Malaysia for India you told me that I should only marry when the time is right, to the girl of your choice? You know me Mummy, I will never disobey you.” When I said that, I looked at my Mummy and she radiated with happiness! Within two weeks I married the girl my parents chose for me. I saw my wife for the first time on the day after our marriage! I am blessed with a wife, Molly, who truly is in every way an angel of God! After graduating as a Medical Doctor and returning to join the medical service in Malaysia, I was still deeply occupied in searching on purpose of my life and to know God. All the while I clung to the Hindu Religion; visiting temples, supporting Hindu rituals, meeting so-called Hindu Saints from India who visited me accompanied by a millionaire Mr. Arumugan Pillay from Penang. He had taken a liking to me because of my sincerity in wanting to propagate the Hindu religion. Somehow, in some strange way, I was sincerely searching to want to find the Truth about God! Sometimes the vision of me being thrown away into the dustbin, as my father threw away the broken chair, haunted me! Again, and again I asked myself: From where will I get the right answer? I joined Government service as a Medical Officer. I worked in Taiping hospital, then to Ipoh, to Kuala Lipis, and more States. During this period, when I heard that my sister is going to be married, I applied for a fortnight’s leave. My application was rejected! The very next day what I did truly shocked me and my wife. Yet I did it! I immediately wrote my resignation letter from Government Service. I went back to Taiping where my parents were staying. I began a medical practice in Taiping. I was surprised how soon the Clinic became so popular and I became very famous. I continued the attitude of looking at everyone I met – a patient or otherwise as part of one God’s family. I was wanted everywhere. Many clubs invited me to join them. 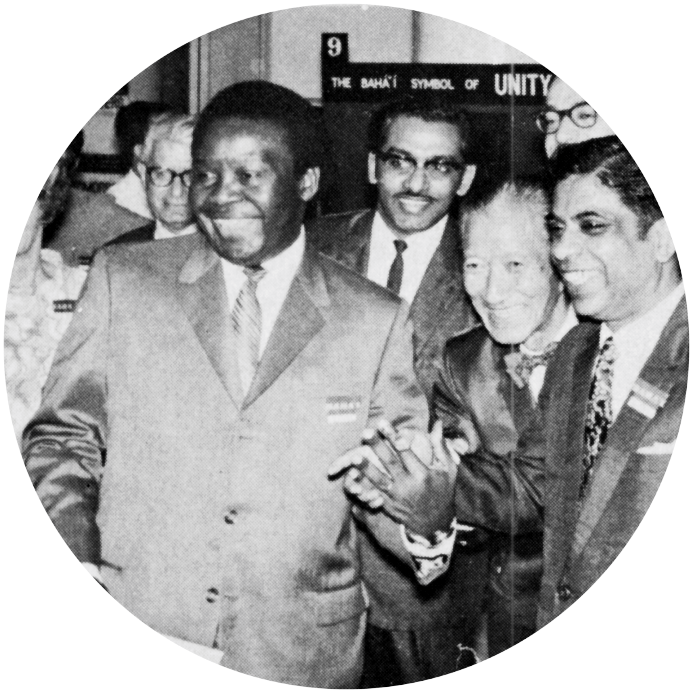 I became responsible for establishing the Junior Chamber in an international organization and assisting the Rotarians. Even the Town Council leased a room for me to hold my meetings. Temples invited me to be at their functions. Heads of many government departments and non-government organizations became my very good friends. I purchased a house in a special locality. As a family we were all happy. At about this time I met and became good friends with an Inspector of Police, Mr. Sivaraja. I introduced my wife Molly to Sivaraja’s wife, Ms Padma. Soon the ladies became inseparable friends. Since then practically every evening we were together. 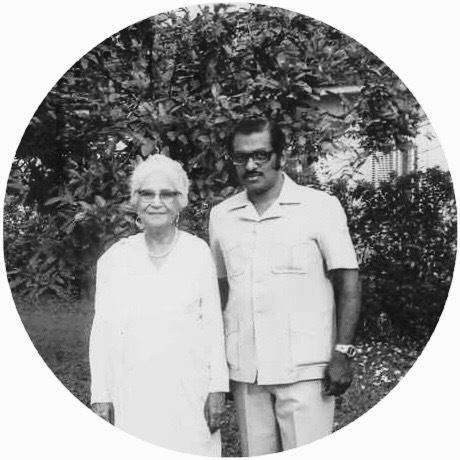 The only day we did not meet them was on Fridays because on Fridays we had heard that Mrs Betty Fernandez was conducting meetings related to a new and different religion in the Sivaraja’s home. I did not want to be part of any other religion. I have often heard many Hindus affirm that once you are born a Hindu, you die a Hindu, though this statement was only a heresay to me! It was about this time that a so-called Christian saint from India met me one evening. While we were discussing he said that Hinduism is not a religion. It shocked me! He emphasized that every Religion from God must have a Messenger, a Book, a Civilization, Laws and Principles which teach the followers to be united. He said that Hinduism did not have any of these attributes. I remember telling him that Krishna is a True Messenger of God. He said that it is true that Krishna is a Messenger of God, but His religion is Sanathana Dharma; His Books are the Bhagavath Geetha and the Mahabharata, which make no mention of Hinduism! I was truly disturbed. Where can I get the right answer? Once again the thought of wanting to Know God and wanting to know the purpose why I was created a human being began to occupy my mind! I prayed to God to appear at least in my dreams and show me the right way. I have never prayed with tears in my eyes. Now I did. I used to cry out to God to answer! A few days later, while I was in my Clinic, a gentleman I had never met before came in and introduced himself as the local manager of an insurance company; American International. His name is Mr. Lim Chong Ghee who handed over a book and said, “This book is from Mrs. Betty Fernandez, wife of our Officer in Charge of Police Department in Krian District. She conducts meetings every Friday in Inspector Sivarajah’s house. She asked me to hand over this book to you.” How did Betty know me. It must be the work of the Sivarajahs. I received the book entitled All Things Made New. I just flipped open a few pages, and when my eyes fell on some foreign-sounding names, I closed the book. I then shelved it with some other books on the table and forgot all about it. “Tomorrow at 12.30, I will pick you up and we will go and meet them”, he replied. Without the least hesitation and knowing that very likely no patients will turn up.” I then replied, “OK. I will be ready then.” We shook hands and he left. The whole of the following morning I sat at my desk waiting to be picked up for lunch. Mr. Lim Chong Ghee arrived on time and we drove to a nearby restaurant. He parked the car and led me up the stairs to the first floor. There sitting around a round table I saw two gentlemen who got up, shook my hand and welcomed me introducing themselves, “This is Mr. Ravichandran an engineer from Kuala Lumpur, and I am Leong Ho Chiew. 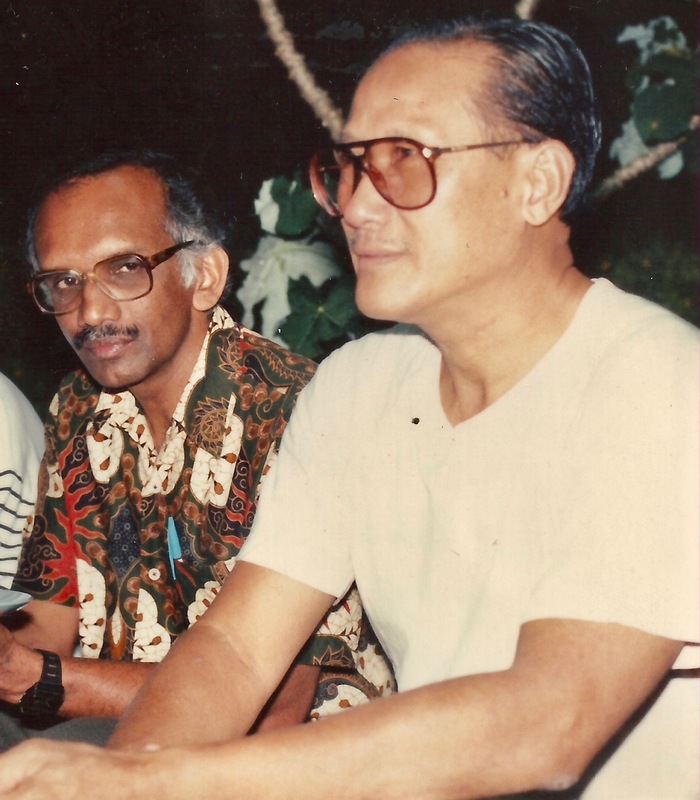 I am an Officer in Charge of Police Department from Kampar District.” Mr. Leong Ho Chiew looked very stern while Mr. Ravichandran looked so gentle. As we settled down around the table Mr. Leong Ho Chiew said, “Before we order lunch let us say a prayer”. It was at that precise moment Mr. Ravinchandran said, “Good idea. Let us ask the Doctor to say the prayer” Saying this, he handed over to me a White Prayer Book. Then standing up, I casually flipped through the pages in the prayer book and began reading a prayer which caught my eyes. It was a short prayer; it barely took me two minutes to read. After saying the prayer with strong feelings, I sat down. 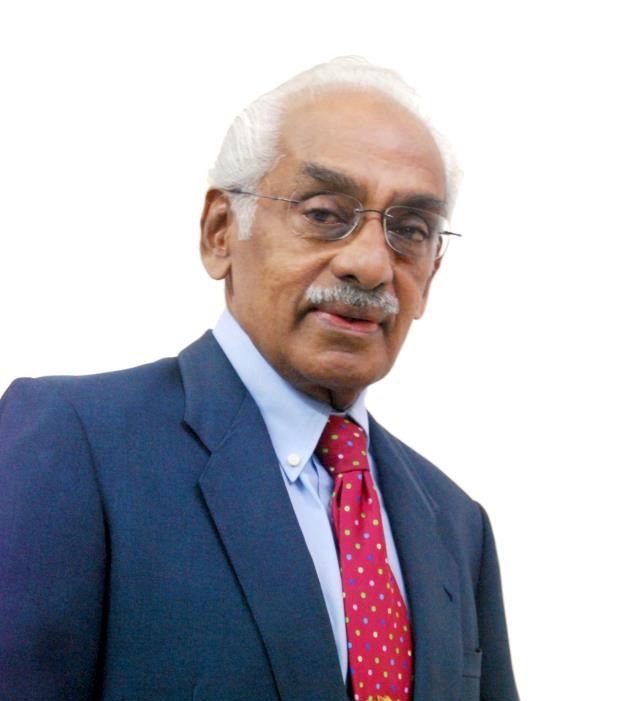 I was so happy to hear such a short but clear explanation, and I truly thanked him, “Thank you Mr. Ravi” Before we said goodbye, Mr. Ravichandran gave me a reel tape of what he told me was a talk by one Mr. William Sears at the First Bahai World Congress in Albert Hall in Londonin 1963 about the Baha’i Faith and also a copy of the book, “All Things Made New.” With that, we wished both Mr. Ravichandran and Mr. Leong Ho Chiew a safe journey back to Kuala Lumpur. That was the most meaningful conversation I had in all my years of existence on this earth. Mr. Lim Chong Ghee and I returned to the Clinic. Two patients were waiting for my return. While in the Clinic I thought about all that had transpired a few moments ago in the Restaurant. The worries and concerns that had been occupying my mind were slowly fading. 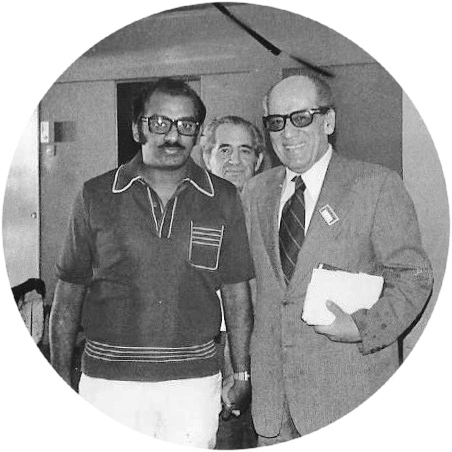 I remembered both, Mr. Leong Ho Choo and Mr. Ravichandran mention the words “independent investigation” when one comes to know of God’s latest Manifestation of God, Baha’u’llah. It also opened a moment of deep reflection within me. God sent trials and tribulations for the five years for my inner eyes to be opened! I felt a sort of happiness that made me want to shout out to the world about the dawning of a new Light of God that I had just seen. I knew for sure there was some transformation taking place within me. I realized that inner change further when as soon as I reached home that evening, I bathed as usual but did not go to the altar to pray! I did not pray at the altar that night, and never, ever did again! My wife noticed the change; the different kind of my looking and speaking, and then my mother and then my father noticed! I was sure they were wondering what had changed me! It did not take long before they recognized the Bahai message. A few days later when I opened a Baha’i prayer, “Short Obligatory Prayer” and I read which revealed: “I bear witness O my God, that Thou hast created me to know thee and worship thee….”, imagine my happiness when I realized that at last God has answered my question, “Why am I created a human being”! In the course of search, I saw with my own eyes and not with the eyes of another; I heard with my own ears and not through the ears of another- in short I independently investigated the Truth. As I looked back, for sure the five years following from that day when I rejected reading the book, “All Things Made New”, were years of hardship when I was living with a feeling of hopelessness! Tests, trials and tribulations began to slowly drown me in pain. I was filled with suffering, fear, suspicion, unsavory thoughts and deeds. There was dwindling in the volume of patients. With lack of income I had to sell off my house at a loss. I was indebted in many ways, causing sleepless nights. In short, I became a nobody in town and I just made it, to be able to live with just what I earned in my failing medical practice! Truly during these testing times, my beloved wife and her serene attitude weathered my difficulties! All of this was taking a toll on my health. Just recollecting those days during the five years, make me so sick even now! I used to ask myself, “Why? Why? Why is this happening to me?” I begged God to rescue me. I had as I remember, repeated this prayer, a thousand times during those sickening years, waiting, but, without receiving a right answer! I reflected on the root cause of all these troubles. Suddenly it flashed across my mind that it was truly the result from that moment when I set aside the book All Things Made New. I never knew that I had to learn the hard way! Many unusual and happy events filled my life every day! 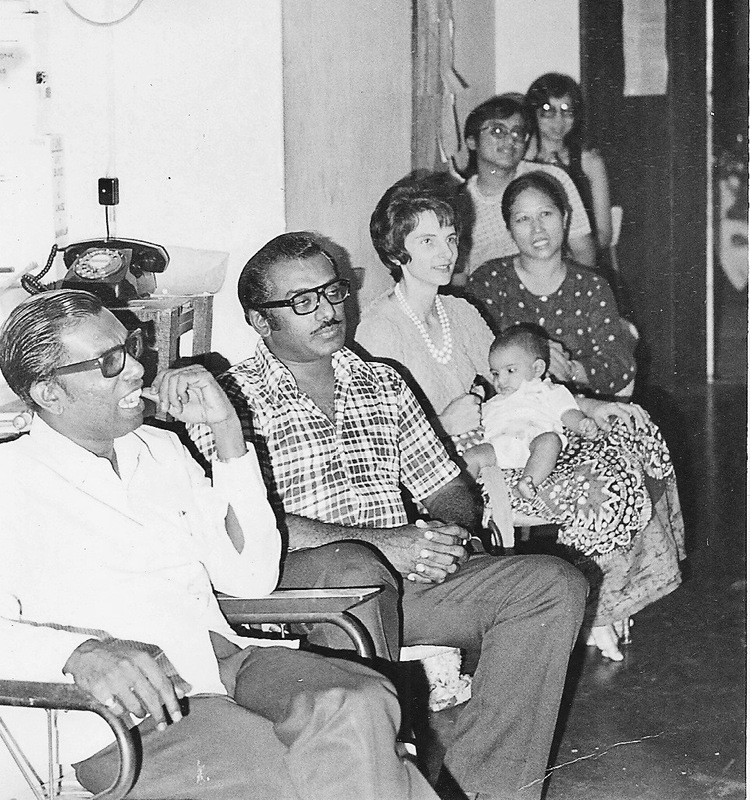 In November 1968 I moved to Butterworth town and had my own Clinic- Chaygin Clinic. Within the following two years I was elected a Chairman of the Local Spiritual Assembly of Butterworth. During this period, I was editing and publishing, “Light Of The Age”, and later “Berita Baha’i” writing articles related to the Baha’i Faith. The Chaygin Clinic was used as a Bahai Center. In 1972 I was elected as member of the National Spiritual Assembly and served as its Secretary and had to moved to Petaling Jaya in the state of Selangor. In 1974 I was appointed an Assistant to the Auxiliary Board member, and after a short period appointed as an Auxiliary Board Member. I began traveling to many parts of Malaysia for teaching and deepening and the same time meeting visitors from overseas. 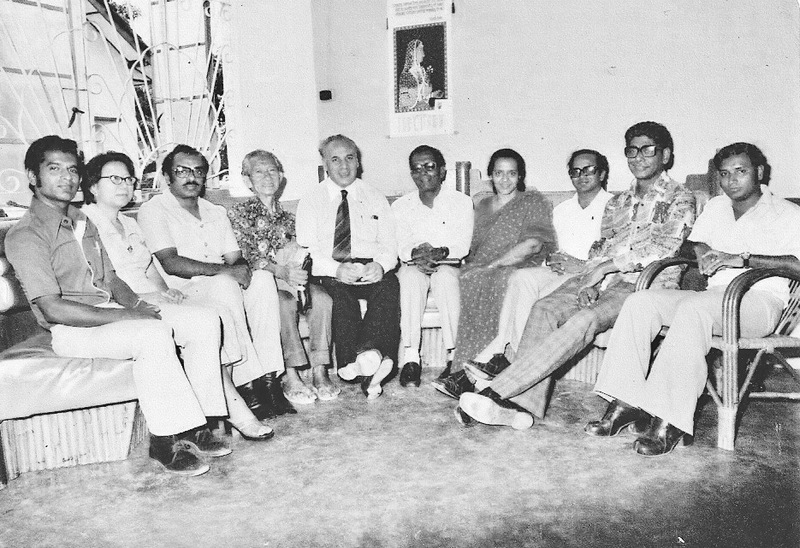 Such visitors were Hands of the Cause of God and leading Baha’i personalities. I interviewed and recorded their talks at Conferences and seminars. All these I can only attribute to the mysterious way, God had inspired, guided and protected me from the day I accepted the Faith and endeavored to tirelessly work for the Cause! So many eventful incidences and moving episodes cannot be recorded in so few pages. And so, allow me to fast forward. God is the prayer hearing and prayer answering God. It is only natural for humans to worry if our prayers are not answered immediately. But He knows when to answer our prayers at the right time. I will relate one of the many incidents where my prayer was answered instantly! This is what happened. The moment I heard our most beloved and wonderful Counselor Mr. Inbum Chiniah, whom I loved so much suddenly pass away after a heart attack, I rushed to his home to meet up with his family. When I arrived I saw many of his relations who were not Baha’is and who I have not met before discussing as to whether Inbum should be cremated according to their custom ,or whether to allow the wife and the children to bury him according to Baha’i laws. It was a time of crisis and a critical moment. The family could not find Inbum’s will, and they also wondered whether there was at all any will. But Lilly Chinniah the wife,was sure that there was a will; but where? They had searched the whole house but could not find the will. Just then Mr. Yin Hong Shuen a member of the National Spiritual Assembly walked in. Together we discussed what was happening between Inbum’s relations and Lilly’s family despairing, about not finding a will written by her husband. We decided to pray. We walked halfway up the stairs, sat on the steps and started to pray with eyes tearing. I begged Baha’u’llah to help us know what to do. Suddenly I saw in my mind’s eye the will in a cupboard. Right in front of the stairs was a cupboard. As if in a dream, I walked down the stairs, opened the cupboard door and on the top left hand side shelf, I saw some clothes on a plastic covering. I lifted the plastic covering and I saw deep in the back, an envelope. I took the envelop, and I rushed out into the visitors room and handed it over to Lilly. She opened it and it was the will. She read and all those present heard her. Inbum had clearly stated in the will that he wants to be buried according to Baha’i Teachings! Imagine the flood of relief that enveloped Lily and her dear children and others members of the Faith who had gathered there! How prayer helped; how the vision of the will appeared is not for us to explain or interpret! The miracle behind this happening, had no words that can adequately describe! With Inbum Chinniah at a meeting in Petaling Jaya. To my left are Joan with her son, Lily Chinniah, Lum Weng Hoe and Shirley Wong. I thank Bahaullah for making me a Bahai relatively early in my life. This blessing, provided an opportunity to meet several saintly souls who are no more with us. 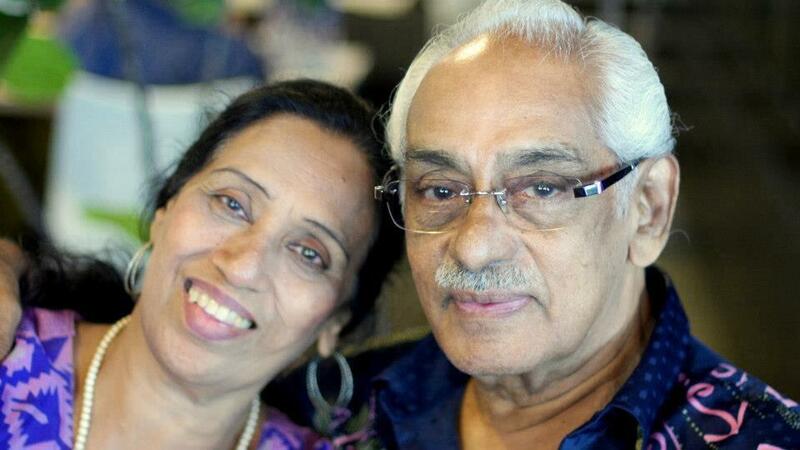 Mrs. Shirin Fozdar, affectionately called Mummy Fozdar and Yankee Leong, the first enlightened believer of Malaysia are the two whom I can never forget. I still have a painting by Yankee Leong with me. More than that I was enabled to meet members of one significant institution that many in the current generation and all the future generations would miss forever. They are the Hands of the Cause of God. I was most honored to have met in person Hands of the Cause of God Dr. Muhajir, A. Q.Faizi, Collis Featherstone and Enoch Olinga. This is a privilege beyond measure! At the age of 86 now, I am preparing myself to walk on the Spiritual Highway that would take me to the next life. I spend my time praying to God to guide me to those seekers around the world for whom I write a “daily message”. The core of the subjects I share in the daily message are, among others, purpose of creation of every human being, preparing ourselves before our souls leave this human dimension, and endeavoring to get glimpses of the life after through the use of Sacred Scriptures. All the seekers have to do is to send a whatasapp message to me at my mobile number: +6016-3767988.